Celebrating the return of the Ethiopians! Like many brew coffee lovers, we are big fans of African coffees. Since the end of our last Ethiopian coffee, Hunkute, we have been eagerly awaiting for the new harvest of the African coffees. We have a few in the pipeline, all stellar in its own ways but to wet your taste buds, first up is a coffee from the Konga Cooperative in Yirgacheffe (or Yirga Cheffe), definitely a gem that does not disappoint. The Konga Cooperative has a very well organized washing station in the heart of Yirgacheffe. 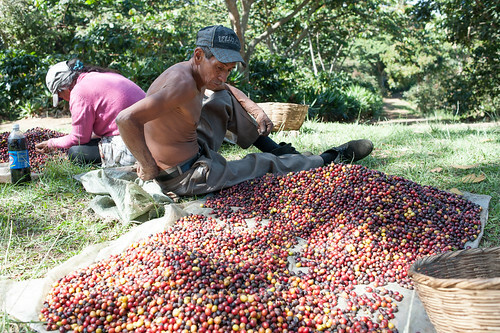 Its located between 1900 to 2300 meters above sea level and is a relatively big cooperative with a strong management. It is also considered as one of the more successful cooperatives in the area. All cooperatives in Ethiopia belong to a Union that is the seller and exporter of the coffee. They also take care of dry milling and grading before exports. Most Yirgacheffe cooperatives belongs to the Yirgacheffe coffee growers Cooperative Union. The management of the Yirgacheffe Union is very hands-on and and there is more support to the growers and the wet mills these days. This coffee encompasses the classic characteristics of a Yirgacheffe – jasmine and sweet candy aromas. Expect loads of tropical fruits coming through the cup, highlighted by a lively pineapple acidity with hints of bergamot and black tea. 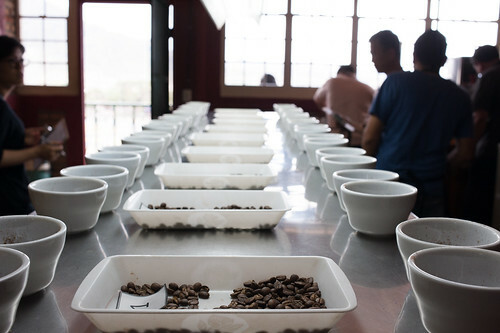 As the cup cools, the floral notes really opens up to give a sweet silky finish. It is delicate yet complex with a symphony of fruit and floral notes. Processing: Pulped and wet fermented for 24-36 hours. Graded in washing channels, soaked in clean water for 12-24 hours. Sun-dried for 10-15 days on African drying beds. For those interested, this coffee is also certified organic. Bokasso, a very popular Ethiopian single origin espresso, had a wonderful run. Many enjoyed this espresso which worked beautifully both black or with milk. For those who misses this espresso, do not fret. We present to you another new coffee from Ethiopia - Hunkute. Similar to Bokasso, Hunkute is a cooperative located in one of the higher locations in Sidamo in the south of Ethiopia, consisting of around 1700 smallholder farm members. 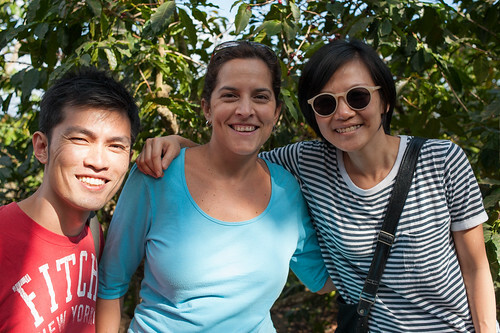 The producers of this cooperative grow coffee together with other crops such as maize and papaya. Harvested cherries are brought to the local washing station where their pickings are hand sorted to remove overripes and unripes. 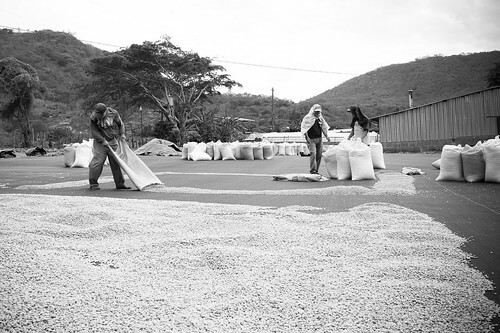 The high altitudes and low temperatures where these coffees are grown results in a very intense and bright coffee. 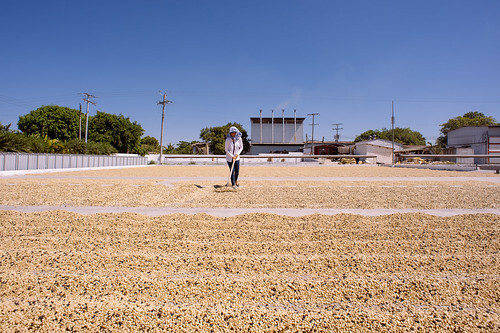 The coffee is organically grown by default (but not certified), as the farmers do not use chemicals or artificial fertilizer due to little problems with coffee pests and diseases. Coming from the same region in Sidama, Hunkute has some slight resemblance to Bokasso in its taste profile, but there is an added layer of complexity which gives it more “adventurous” feel. The cup profile is citric with aromatic jasmine notes. Delicate apricots and peaches with underlying floral tones. Slim mouthfeel with bergamot finish. This is a sweet yet complex espresso. Available immediately from our retail rack.